If you are considering moving from Gmail to Outllok.com for example then there are several things you will need to consider and decide upon. The most important one is what will you do with the old email messages. Leave the emails on the old account. Move the emails to the new email account. 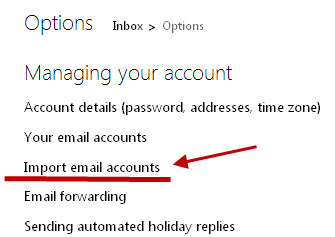 This is an option if you don’t need them any more or if you will continue to access the old account after the move. Retaining access to the old account is common practice following a move as it gives you the opportunity of catching important emails that have been sent to the old address. 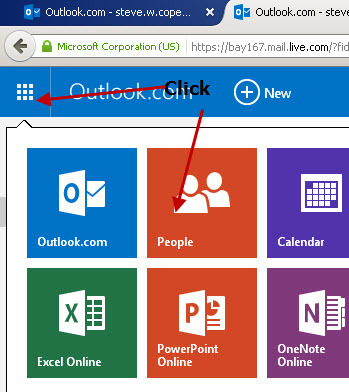 Microsoft make it very easy to move from Gmail to Outlook.com by providing a migration tool. The tool will import your emails and contacts from Google Gmail into outlook.com. Click on Settings and choose options from the menu. And select Google from the list. 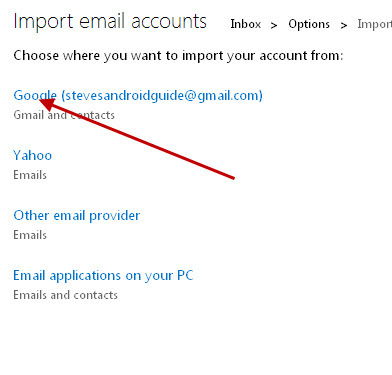 If you have already imported from Google Gmail you will see the account listed. You can re-import if you wish (but beware of duplicate emails) or import from another Gmail account. 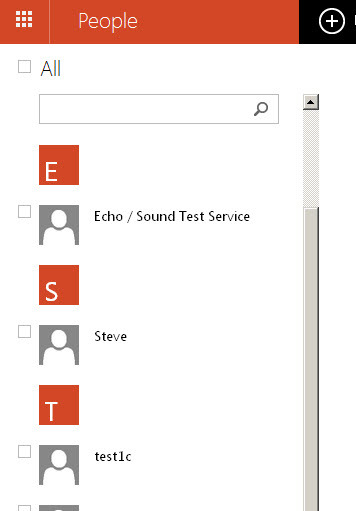 You can import the emails into your inbox or create a new folder structure for them. I prefer to create a new folder. 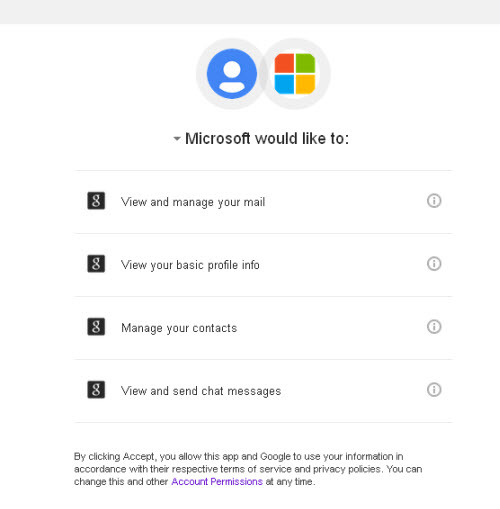 You will then need to sign into your Gmail account and then verify access permissions. If you are moving from Gmail to outlook then normally you will arrange for any new messages that go to the old Gmail address to be automatically forwarded to your outlook.com account. The import should now start. You should see an import icon at the top right of your screen. 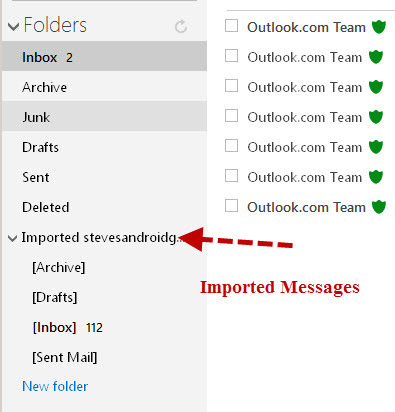 If you enable the import into folder option then the messages are created in a separate folder structure under your inbox. You should see all of your Gmail contacts have been imported. You can move email messages using other migration utilities and also using an email client connected to both mailboxes (very common method). Contacts can be moved using an exported csv file. Unless you continue to access your Gmail account it will become inactive. Send a message to all of your contatcs to notify the of the new email address. Monitor your old Gmail inbox to ensure that you aren’t getting important emails delivered there. It may take several months of monitoring to be sure. Q- What happens to my old email address on Gmail.Will it be recycled? A- My understanding is that currently Gmail doesn’t recycle old email addresses but that could change. Q- How long after the move can I retain access to my old Gmail mailbox.